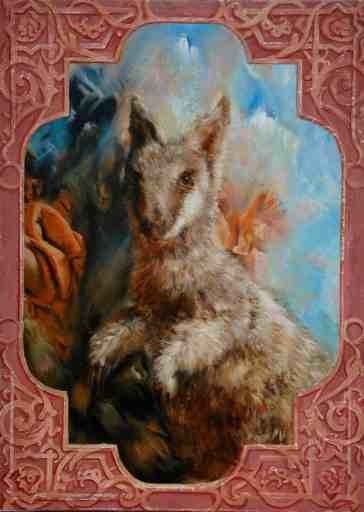 Reality is the Unknown is the title for this painting of a Toolache Wallaby. Painted from specimen at the Leiden Natural History Museum. Oil on Linen. Extinct 1939 South Australia. Part of the Celebrity Extinctions series. Comments about the series, about art, about painting and drawing are all welcome.